Next Post: HOUSTON ATTORNEY ANDY NOLEN – A DISHONEST LAWYER? Criminal trials are governed by strict rules of evidence and procedures. It is the duty of a defense attorney to not only know but understand these rules and procedures precisely. 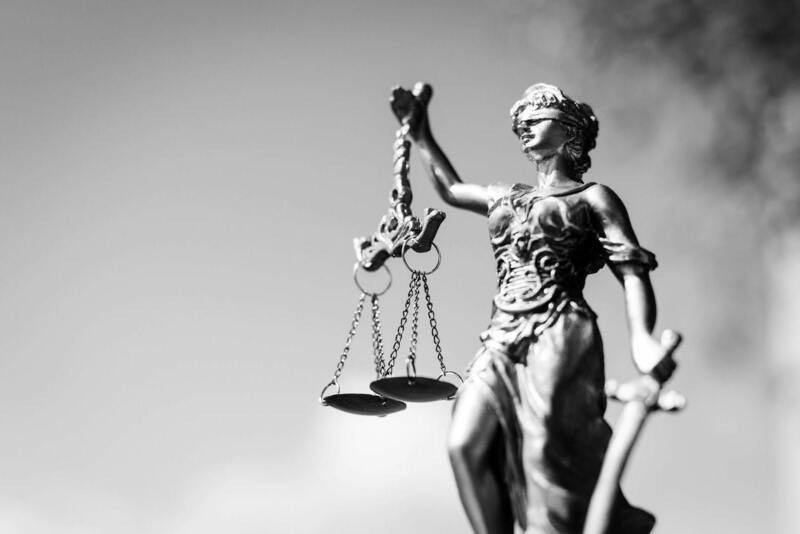 We have written several times in the past about the harm caused by a defense attorney’s inadvertent failure to make specific, timely and properly lodged objections during the course of a criminal trial. The Texas Court of Criminal Appeals recently delivered that same unreasonable message once again and in no uncertain terms. The case involved Luis Pena who, in 1998, was charged with possession of marijuana seized during a traffic stop. He was put on trial in 2003. His attorney had learned that the evidence in the case had been destroyed in 2000. The attorney also learned through a thorough investigation that all of the records and documents associated with the lab report of the Texas Department of Public Safety concerning the marijuana had been lost. So prior to trial the attorney diligently filed a motion for an independent lab analysis of the seized marijuana and moved to suppress the DPS lab results. These motions were denied by the trial court. Not to be deterred, Pena’s attorney lodged general evidence-custody objections based on the laws of Texas, the Texas Constitution, and the U.S. Constitution. The trial judge denied these objections, citing U.S. Supreme Court precedents that require a state criminal defendant to not only show that the lost or destroyed evidence was both material and favorable to his defense but that the state act in bad faith when it lost or destroyed the evidence. During Pena’s trial, the prosecution called a DPS chemist to testify about the lab test results. Pena’s attorney not only properly objected but requested that he be allowed to question the chemist outside of the jury’s presence to assess his qualifications and to determine the admissibility of the test results. The trial judge granted the attorney’s request, and after both sides had an opportunity to question the chemist about the destruction of the evidence, the judge personally questioned the chemist to determine if DPS had acted in bad faith when it destroyed the evidence. The judge concluded the law enforcement agency had not only acted in bad faith but that the destroyed evidence was not favorable to Pena. At this procedural juncture, and for the first time, Pena’s attorney explicitly raised an objection that the destruction of the evidence violated the “due course of law” provisions under the Texas Constitution, Article I, Section 19. Regrettably, however, the attorney did not base that objection specifically on the legal theory that the “due course of law” provisions of the Texas Constitution provides greater protections than the “due process of law” provisions under the Fourteenth Amendment to the U.S. Constitution. The trial judge overruled the attorney’s objection. Pena was convicted and sentenced to life imprisonment. Any reasonable review of this lawyer’s diligent effort to object to this evidence would suggest the defense lawyer made a thorough and complete objection that would preserve this matter for appeal. So, at least, one would think. On appeal the Waco Court of Appeals in 2005 decided sus sponte to address the novel issue of whether the “due course of law” provision of the Texas Constitution provides greater protection than the “due process of law” protections provided by the U.S. Constitution. After conducting a detailed analysis of this issue, the appeals court ruled the “due course of law” provisions of the Texas Constitution in fact provide greater protections than the “due process of law” provisions of the U.S. Constitution, even though there was no evidence in the record that DPS had acted in bad faith when it destroyed the evidence. The appeals court reversed and remanded Pena’s case for a new trial. This rule imposes a strict responsibility on a criminal defense attorney to clearly convey to the trial judge the objection, including the precise and proper legal basis for the objection and its underlying rationale. As we have pointed out in previous articles, the issue of whether an objection has been properly preserved for appellate review depends upon whether the objection presented on appeal tracks identically with the objection made before the trial court. Unfortunately, there’s no room for deviation between the two objections. In defense of Pena’s attorney, it may well be that he did not want to raise the distinction between the state and federal constitutional provisions. He may have deliberately framed in objection under the Texas due course of law provision in general terms to avoid arguing it provided greater protection than the federal due process provision. After all, it was the Waco Court of Appeals that decided on its own to raise and address this constitutional issue. Be that as it may, the CCA decided to lay the blame as the doorstep of Pena’s attorney—quite unfairly we believe. This ruling begs that we once again point out the need for criminal defense attorneys to make timely and clear objections and be prepared to inform the trial judge of the precise application of the law associated with the objection. An attorney must be prepared during the trial at any given moment to make a clear objection and precisely argue the law supporting that objection. Both state and federal appellate courts have zero tolerance for the failure to follow these procedures for lodging proper objections. A criminal defense attorney must always remember in the heat of courtroom battles to always stay focused on their objection and the legal basis for it. Inadvertence, mistake, or forgetfulness will not cut it. The Pena case is another in a long line of cases that reinforces this courtroom reality. ON STATE’S PETITION FOR DISCRETIONARY REVIEW FROM THE TENTH COURT OF APPEALS LEON COUNTY. JUDGES: KEASLER, J., delivered the opinion of the Court in which KELLER, P.J., MEYERS, WOMACK, and HERVEY, JJ., joined. HOLCOMB, J., filed a dissenting opinion in which PRICE and JOHNSON, JJ., joined and in which COCHRAN, J., joined with respect to Part 1. Jose Luis Pena objected to the admission of lab test results because the State destroyed the substance tested before trial. He objected under the Texas Constitution’s due course of law provision but failed to argue, before the trial judge, that it is more protective than the federal Due Process Clause. The lower court held that Pena’s Texas constitutional claim was preserved and reversed on that ground. 1 We hold that it was not and reverse the court’s judgment. 1 Pena v. State (Pena III), 226 S.W.3d 634, 637, 656 (Tex. App.–Waco 2007). And I would note that under case law, as I understand it, it is the burden of proof of the defendant to prove that the destruction of the evidence was done willfully and that – – and it is further your burden to show that the retention of the evidence would be favorable to your case. So, therefore, the Court is going to carry that motion along with the trial of this case . . . . Does anybody have any comment they would like to make on that? I need to hear the evidence before I rule on this. But citing these cases, the United States versus [Valenzuela-Bernal] 3 and the Mahaffey 4 case, a showing that the lost evidence might have been favorable does not have the – – does not meet the materiality standard. And then California versus [Trombetta], 5 again Mahaffey. When an accused complains of lost evidence he must show that the evidence lost is both material and favorable to him. 2 488 U.S. 51, 58, 109 S. Ct. 333, 102 L. Ed. 2d 281 (1998) (the State’s failure to preserve “potentially useful evidence” does not violate the Fourteenth Amendment’s right to due process unless the defendant can show “bad faith” on the part of the police); see also Illinois v. Fisher, 540 U.S. 544, 124 S. Ct. 1200, 157 L. Ed. 2d 1060 (2004). 3 United States v. Valenzuela-Bernal, 458 U.S. 858, 872-73, 102 S. Ct. 3440, 73 L. Ed. 2d 1193 (1982) (“The mere fact that the Government deports such witnesses is not sufficient to establish a violation of the Compulsory Process Clause of the Sixth Amendment or the Due Process Clause of the Fifth Amendment. A violation of these provisions [*4] requires some showing that the evidence lost would be both material and favorable to the defense.”). 4 Mahaffey v. State, 937 S.W.2d 51, 53 (Tex. App.–Houston [1st Dist.] 1996, no pet.) (discussing the State’s duty to preserve evidence under federal constitutional law). 5 California v. Trombetta, 467 U.S. 479, 489, 104 S. Ct. 2528, 81 L. Ed. 2d 413 (1984) (discussing the State’s duty to preserve evidence under the Due Process Clause in the Fourteenth Amendment). Now, the Court understands that we have lost evidence here and in these type[s] of cases the defendant must show that the prosecution acted in bad faith when it failed to preserve the evidence to show a violation of due process or due course of law. And the defendant also has to prove that the lost evidence would be material to the case. With these issues in mind, the trial judge then questioned Mott. Based on Mott’s testimony, the trial judge found that the evidence was material but concluded that it was not favorable to Pena and that the State did not destroy it in bad faith. Pena then reurged his previous objections. In doing so, Pena, for the first time, explicitly relied on the due course of law provision of the Texas Constitution, Article I, Section 19, but he did not suggest that it provides greater protection than the United States Constitution. The trial judge overruled Pena’s objections, and Pena was later convicted and sentenced to life imprisonment. 6 Pena v. State (Pena II), 191 S.W.3d 133, 134 (Tex. Crim. App. 2006); see also Pena v. State (Pena I), 166 S.W.3d 274, 276-77 (Tex. App.–Waco 2005). 7 Pena II, 191 S.W.3d at 134; see also Pena I, 166 S.W.3d at 278. 8 Pena I, 166 S.W.3d at 276. 10 Pena II, 191 S.W.3d at 135. 12 Id. at 136-37.13 See Jones v. State, 942 S.W.2d 1, 2 n.1 (Tex. Crim. App. 1997). 14 Pena II, 191 S.W.3d at 136 n.14. 15 Pena III, 226 S.W.3d at 651. The State petitioned for review a second time, this time alleging, among other things, that the court of appeals erred in finding that Pena preserved the due course of law provision claim at trial. [*8] We granted review and now conclude that the court of appeals erred. 17 TEX. R. APP. P. 33.1. 18 Reyna v. State, 168 S.W.3d 173, 176 (Tex. Crim. App. 2005) (quoting 1 Stephen Goode, et al., TEXAS PRACTICE: GUIDE TO THE TEXAS RULES OF EVIDENCE: CIVIL AND CRIMINAL § 103.2 (2d ed. 1993)). 20 Lankston v. State, 827 S.W.2d 907, 908-09 (Tex. Crim. App. 1992). 22 Reyna, 168 S.W.3d at 179. 23 Id. at 177 (quoting Martinez v. State, 91 S.W.3d 331, 336 (Tex. Crim. App. 2002)). 24 Lankston, 827 S.W.2d at 911. Here, the record shows that Pena did not preserve his due course of law provision claim for appellate review, and the Waco Court of Appeals erred in concluding otherwise. Although Pena eventually invoked the Texas due course of law provision when [*10] objecting before the trial judge, he failed to argue that it provides greater protection than the federal Due Process Clause. Indeed, based on Pena’s initial objection under the Fourteenth Amendment, the record shows that the judge and the State understood that Pena’s complaint was under only the well established federal standard concerning lost or destroyed evidence. Pena never disabused the judge of this notion even when, in reurging his prior objections to “protect the appellate record,” he first cited to Article 1, Section 19. Pena was obligated to put the trial judge on notice of the specific legal theory that he intended to advocate because: the federal constitutional standard was clearly established; 25 the trial judge and the State unmistakably relied solely on the federal standard; and there is no independent interpretation on the subject of lost or destroyed evidence under the Texas Constitution’s due course of law provision. We hold that, by failing to distinguish the rights and protections afforded under the Texas due course of law provision from those provided under the Fourteenth Amendment before the trial judge in this context, Pena failed to preserve his complaint that [*11] the due course of law provides greater protection for appellate review. 25 Youngblood, 488 U.S. at 57-58. Finally, we consider an issue raised by the dissent. The dissent contends that we implicitly ruled that Pena’s due course of law complaint was preserved when we remanded this case in 2006. 26 However, as noted above, we explicitly decided not to address preservation at that time. 27 We did this because the court of appeals never expressly ruled on the issue before proceeding to the merits of the issue as “unassigned error.” 28 Therefore, when remanding for briefing, we took into account two important policy interests: first, to allow the parties to have an opportunity to brief the threshold preservation question given the novelty of the issue; and second, to allow the court of appeals to decide the issue in the first instance with briefing. 29 It defies logic to say that we implicitly ruled on the preservation issue when we expressly declined to do so. 27 Pena II, 191 S.W.3d at 136 n.14. 28 Pena I, 166 S.W.3d at 276-77. 29 See Jones, 942 S.W.2d at 2 n.1. Because Pena did not preserve his Texas Constitution due course of law complaint for appellate review, the court [*12] of appeals erred in addressing that complaint and reversing Pena’s conviction and sentence on that ground. We reverse the court of appeals’s judgment and remand for proceedings consistent with this opinion. Finally, it is unnecessary to reach the State’s remaining grounds in light of our resolution of the preservation issue. HOLCOMB, J., filed a dissenting opinion, in which PRICE and JOHNSON, JJ., joined. COCHRAN, J., joined in Part I of the opinion. I respectfully dissent from the majority’s holding that appellant’s Texas constitutional claim was not preserved, for the following two reasons. 1. Our previous disposition of this case. At trial, defense counsel argued in his motion to suppress that the admission of the test results and the testimony surrounding them would violate his due process rights guaranteed by both the United States Constitution and the Texas Constitution. Thus, the issue of a violation of Appellant’s rights under the Due Course of Law provision was raised and preserved at trial. Id. at 139 (Meyers, J., dissenting) (emphasis added). As this issue is now properly before us, and no statute or caselaw precedent requires us to send the case back to the court of appeals, it violates common sense and judicial [*14] economy to remand it. Even though this disagreement between the judges on the preservation of error question was clear, the Court declined to address that issue at that time. See 191 S.W.3d at 136 n.14. But preservation of error is more than just a technicality. It is actually a procedural gateway that the parties must pass in order to have their claims heard on the merit. We do not address an issue if the party was required to preserve error, but failed to do so. Thus, when we remanded this case to the court of appeals, actually ordering it to obtain briefing from the parties on the underlying claim itself, we had in effect allowed appellant to pass through the procedural gateway. In other words, even though we might have expressly declined to address the preservation issue, we did implicitly address it and decided either that appellant had preserved error or that he should be excused from the preservation requirement in light of the question presented in this case. In fact, our opinion clearly suggests that we did consider the preservation issue and resolved it in appellant’s favor. We stated that “[w]e have previously held, and reaffirm today, that appellate courts [*15] are free to review ‘unassigned error’ — a claim that was preserved in the trial below but was not raised on appeal.” Id. at 136 (emphasis added). We added that, “[i]n conducting such a review, however, the question becomes whether certain circumstances obligate a court to assign such error by ordering briefing from the parties.” Id. (emphasis in original). Thus, when we remanded the case ordering the court of appeals to obtain briefing from the parties, we were acknowledging that appellant’s claim had been “preserved in the trial below” even though it had “not [been] raised on appeal.” Id. We do not suggest that an appellate court must order briefing every time it decides to raise on its own a point of [*16] error not briefed by the parties. As we indicated earlier, some rules — constitutional or otherwise — are already firmly established through prior litigation, having already passed through the fires of adversarial testing. And rules that do not expand the reach of the federal or state constitutions can be overturned by the Legislature; although the cost of mistakes regarding those types of rules is high, a remedy exists. But a novel rule that expands the reach of a constitutional provision can hamstring the Legislature as well as frustrate trial courts and prosecutors who relied upon the rule that was previously in effect. Id. at 137-38 (emphasis added). The majority in the present case acknowledges our previous holding that the Texas constitutional question in the present case is a novel issue. See Maj. op. at *5 (“We recognized that whether the due course of law provision grants more protection than the Due Process Clause is a novel state constitutional question and therefore requires careful deliberation by an appellate court.”)(citing Pena, 191 S.W.3d at 136-37). In spite of its acknowledgment of and even apparent agreement with that holding, however, the current majority then [*17] proceeds to dismiss that underlying claim on the same preservation-of-error ground that our previous majority had in effect excused specifically because of its recognition that the underlying Texas constitutional question in the present case was a novel issue. What’s more, while the majority in our previous opinion had spent considerable time discussing, and thus had in fact engaged in “careful deliberation,” id., before it ultimately concluded that the court of appeals had erred only because of its “failure to afford the parties an opportunity to brief” that underlying Texas constitutional issue, see Pena, 191 S.W.3d at 138, the current majority does not even try to explain its departure from our previous leniency on the question of error preservation. In other words, it does not explain why what was no doubt good law to the previous majority, enabling it to order the court of appeals to proceed on the merits of the underlying Texas constitutional claim, is not such good law anymore. I believe it is fair to say that we are in effect reversing our earlier decision, at least as far as the preservation issue is concerned. In my opinion, the question of preservation became moot when we [*18] remanded the case to the court of appeals ordering it to proceed on the underlying Texas constitutional issue by requesting the parties’ briefs on it. As I noted earlier, we issued that opinion in April 2006. The court of appeals complied with our orders; and the parties complied with that court’s instructions, researching and filing briefs with that court on the underlying Texas constitutional issue. Then, in May 2007, the court of appeals presented a very detailed and in-depth analysis of that same issue in a published opinion. The State then filed the current petition, in June 2007, and we are now deciding this case in April 2009. In other words, it has been almost three years since we remanded this case to the court of appeals with orders to obtain the parties’ briefing on the underlying Texas constitutional issue. I submit that we are now in effect estopped from declining to address that underlying issue because of our own earlier orders. We cannot and should not put the parties and the court of appeals through all this time, effort, and expense of trying to comply with our own orders to address an issue, and then refuse to address that issue ourselves on the ground that it had [*19] never been preserved for our review, in the first place. It is simply not fair, either to the parties or to the court of appeals; and it certainly does not reflect well on this Court. We need to be consistent in the approach we take, at least in our dealing with the same case. Personally, I believe that appellant did preserve error. The trial transcript is replete with appellant’s repeated assertion of his rights under both the Federal Due Process Clause and the Texas Due Course of Law provision. If he truly believed that both these provisions were synonymous and provided identical protection, he did not need to keep invoking the state law. The Fourteenth Amendment to the United States Constitution is sufficient to provide a defendant in a state trial with all the due process protection guaranteed by the federal constitution. Thus, the fact that appellant carefully and repeatedly went to the trouble of invoking both of those provisions every single time that he objected, indicates that he was hoping one or the other would provide greater protection and, therefore, did his best to preserve error on whichever ground the appellate courts ultimately decided [*20] did provide more protection. Now, the Court understands that we have lost evidence here and in these type [of] cases the defendant must show that the prosecution acted in bad faith when it failed to preserve the evidence to show violation of due process or due course of law. It is also important to note that appellant did not stop at invoking the federal Due Process and the state Due Course of Law provisions. He also invoked provisions of the Texas Health and Safety Code and the Texas Code of Criminal Procedure. The purpose of his efforts was quite clear: the State had destroyed what both the trial court and the court of appeals [*21] agreed was “material” evidence against him, and he was trying to invoke whatever authority — federal or state — that he could possibly think of that might have provided him with the most protection in light of such destruction. It is the State’s burden to prove the defendant’s guilt; and Texas law in particular requires the State to take “at least five random and representative samples” of “a controlled substance property or plant” and to preserve “a sufficient quantity” to be provided for discovery by the defense, before the State is allowed to destroy the rest of such evidence. See TEX. HEALTH & SAFETY CODE § 481.160. But in this case, the State destroyed the very evidence that established appellant’s guilt, 1 yet still felt free to proceed with the prosecution on the basis of a lab report and testimony based solely on that lab report, 2 even though the defense had never gotten a chance to vindicate his rights, under Texas law, to independently test and confirm the identity of the destroyed evidence. 1 Appellant could not have been charged or prosecuted for possessing marijuana if the defense had been able to test and prove the substance to be something other than marijuana. 2 The [*22] chemist testified that he could not personally remember that particular testing because it had been almost five years since he had done that testing. He therefore relied exclusively on the aforementioned lab report for his testimony. And I would again just — if I understand the Court [is] going to let this testimony in, that this was tested as marijuana, that it was marijuana and the weight of the marijuana, and when the Court found that it wasn’t done purposefully by the laboratory, be it the State of Texas, that puts defense counsel in a posture, Judge, where we are forced to assume the burden and prove a negative. I’m just trying to follow the law and that’s what these cases say. I realize it puts the defendant in a predicament. And you’re doing just what I would do if I was in your shoes. But I didn’t write the law. I have got to follow the law that the courts write for me and that’s what I’m trying to do and that’s what they told me [*23] to do so I’m doing it. The trial court was in fact quite understanding and afforded the defense counsel every opportunity to offer a case — any case — providing the protection that appellant sought to exclude the evidence in question. But then, no such case law exists! As I noted earlier, this Court itself had recognized in our first opinion in this case that whether the Texas Due Course of Law provision provides greater support than the federal Due Process of Law is a novel question. Thus, all that appellant could and did do was to invoke both those federal and Texas provisions. Whether one of them offered more protection than the other was a question of law that could be addressed and resolved only by an appellate court. 3 I express no opinion about the merit of the underlying claim in this case, except to note that, in some cases at least, we have held that the Texas Constitution offers more protection than the comparable provisions of the federal Constitution. See, e.g., Heitman v. State, 815 S.W.2d 681, 690 (Tex. Crim. App. 1991) (concluding that “this Court, when analyzing and interpreting Art. I, § 9, Tex. Const., will not be bound by Supreme Court decisions addressing the comparable Fourth Amendment issue.”) (footnote omitted). Finally, we consider an issue raised by the dissent. The dissent contends that we implicitly ruled that Pena’s due course of law complaint was preserved when we remanded this case in 2006. However, as noted above, we explicitly decided not to address preservation [*25] at that time. We did this because the court of appeals never expressly ruled on the issue before proceeding to the merits of the issue as “unassigned error.” Therefore, when remanding for briefing, we took into account two important policy interests: first, to allow the parties to have an opportunity to brief the threshold preservation question given the novelty of the issue; and second, to allow the court of appeals to decide the issue in the first instance with briefing. It defies logic to say that we implicitly ruled on the preservation issue when we expressly declined to do so. Maj. op. at 8-9 (citations omitted). The majority fails to realize, however, that we did not mention any of this in our previous opinion. See Pena, 191 S.W.3d. For instance, our opinion never stated that the court of appeals had failed to “expressly rule” on the preservation issue. See id. We also never instructed the court of appeals to either address or request briefing on that issue. See id. Thus, contrary to the current majority’s assertion, we never “allow[ed] the parties to have an opportunity to brief the threshold preservation question.” See Maj. op. at 9. Moreover, our earlier opinion says nothing [*26] about the “two important policy interests” only now articulated by the current majority. See id. ; see also Pena, 191 S.W.3d. In fact, the only time that we talked about preservation was in that footnote in which we expressly declined to address the question of preservation. See Pena, 191 S.W.3d. at 136 n.14. Except for that one footnote, our entire opinion was devoted exclusively to the question of whether it was appropriate for the court of appeals to have addressed the underlying Texas constitutional issue without first obtaining briefing from the parties on that underlying issue. In short, there was nothing in our earlier opinion that could have alerted either the parties or the court of appeals to the fact that they were supposed to address anything other than the underlying issue. Finally, I don’t see anything that “defies logic” 4 in pointing out the inconsistencies in both our previous and current opinions. As I noted earlier, we had stated in our previous opinion that “[w]e have previously held, and reaffirm today, that appellate courts are free to review ‘unassigned error’ — a claim that was preserved in the trial below but was not raised on appeal.” See Pena, 191 S.W.3d. at 136. [*27] Except for that one footnote in which we expressly declined to address the preservation question, see id. at 136 n.14, we devoted the entire opinion to discussing the lower court’s need for obtaining party briefing on the underlying Texas constitutional issue. In fact, we concluded that opinion by ordering the court of appeals to obtain such briefing solely on that underlying issue. The only logical way to reconcile this apparent discrepancy between the disavowing footnote and the rest of the opinion is to assume that we had decided to relax the preservation requirement in light of the novelty of the underlying question presented in the case, and that the purpose of the disavowing footnote was merely to note our unwillingness to expressly discuss our reasons for having relaxed that requirement. 4 Maj. op. at 9. But the current majority contests this logical assumption and insists that we had in effect reserved some right to dismiss this case on the grounds of preservation, in spite of all the time, money and effort spent by the parties and the court of appeals addressing the underlying Texas Constitutional issue that we had explicitly ordered them to address three years ago. But if that [*28] is true, then the only logical explanation for the above-mentioned discrepancy between the footnote and the rest of our early opinion is that we had been internally inconsistent when, on the one hand, we devoted practically our entire opinion discussing the lower court’s need for obtaining party briefing solely on the underlying Texas constitutional issue; while, on the other hand, summarily declined to address what the majority now calls “the threshold preservation question” 5 in a mere footnote. See Pena at 136 n.14. I submit, however, that there was no such internal inconsistency in our previous opinion, and that it is the current opinion summarily dismissing the underlying claim that is actually inconsistent with our earlier approach. But no matter how one chooses to look at it, I believe that the only clear message that our opinion sends out today is that we are consistent in being inconsistent. 5 Maj. op. at 9 (emphasis added). For all the foregoing reasons, I respectfully dissent.